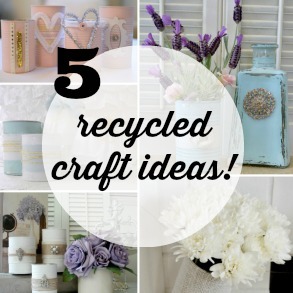 Get ready to raid the recycling bin! 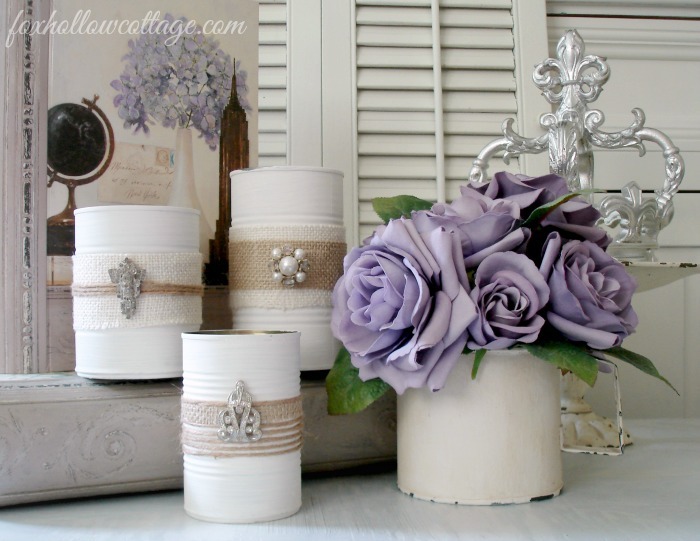 Today I’m sharing my top 5 favorite Tin Can Projects of all time. 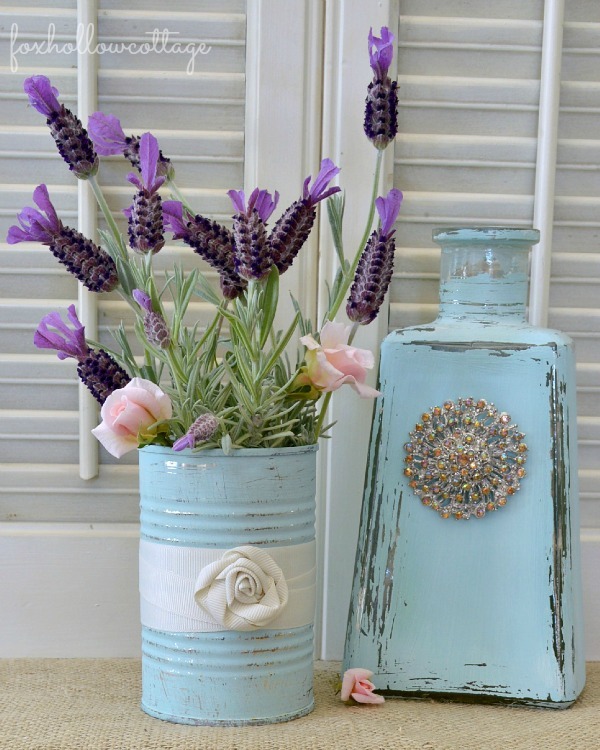 Recycling, upcycling and repurposing tin cans into vases, home decor accents and more, has never been so easy or looked so good. I’ll begin with the project that started it all. 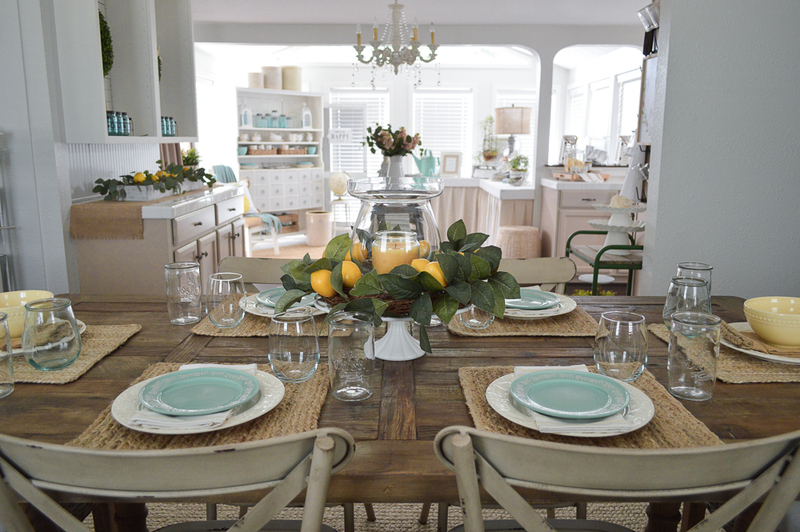 #1 – The Tin Can & Tequila Bottle. 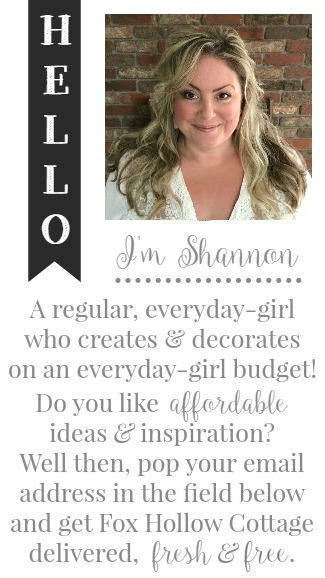 #2 – Spotlight on the “Shabby Glam” Tin Can. Everything is better with a little sparkle and shine right? 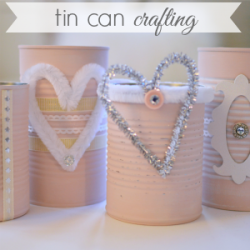 #3 – Next, the Tin Cans show their softer side, with help from Nicole Miller. Okay, I slipped a Ball Mason Jar in the line up. I couldn’t help it. 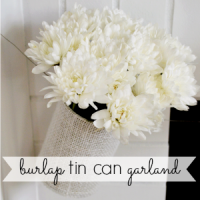 #4 – You can even create a Tin Can Garland like this. Perfect for Spring flowers. Different and fun. Work for me!! 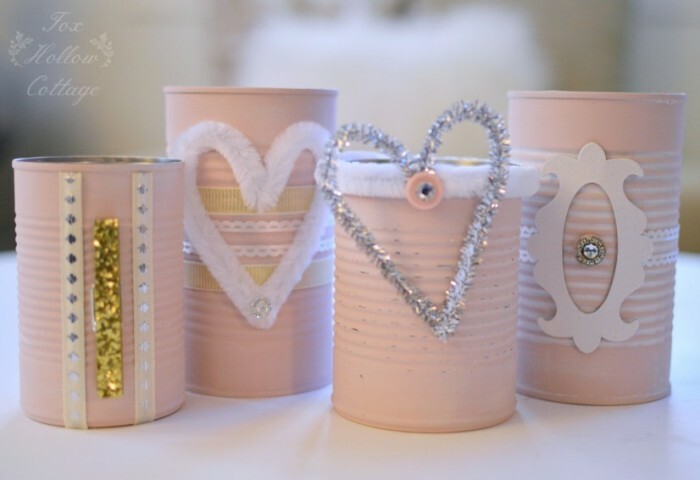 #5 – Tin Cans can even be Romantic, as seen in soft pink below. 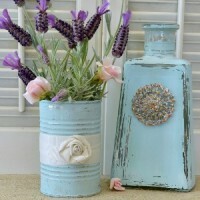 Idea: Fill a tin can with flowers as a sweet token gift. 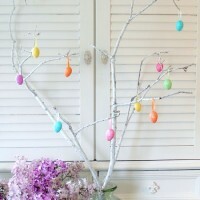 Add a gold glittered clothes pin! 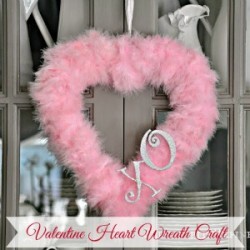 It’s perfect for holding a little love note, thank-you sentiment or get well wish. I hope you found a tin can craft that struck your fancy!? I have thoroughly enjoyed creating with them. 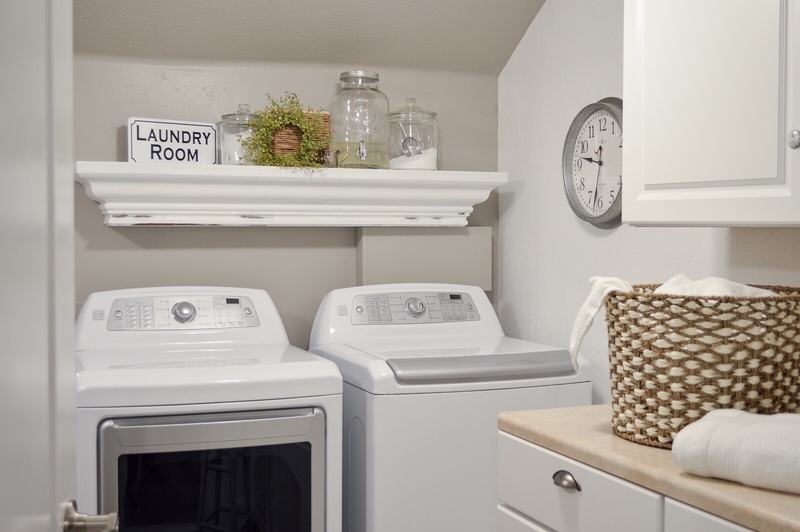 Easy to come by and easy to create with. I know they have tons more potential. 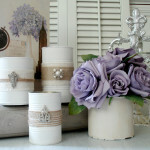 I’m planning a new Tin Can Project for this Spring/Summer season and I’ll share as soon as I make it. 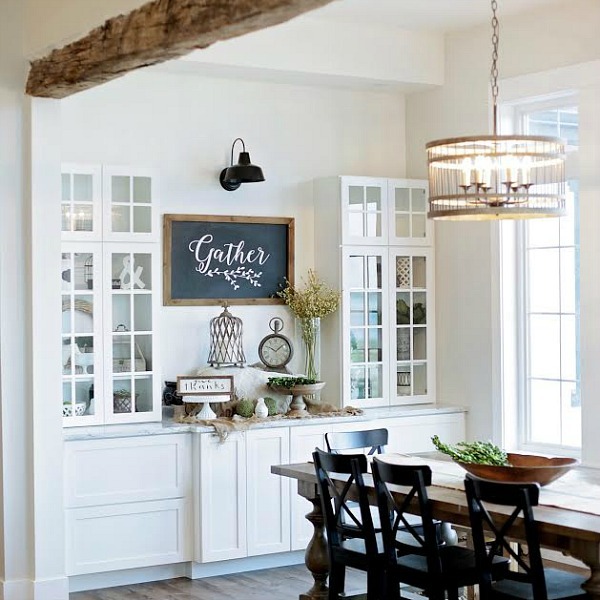 Just need to catch-up on a few DIY/Makeover projects first. 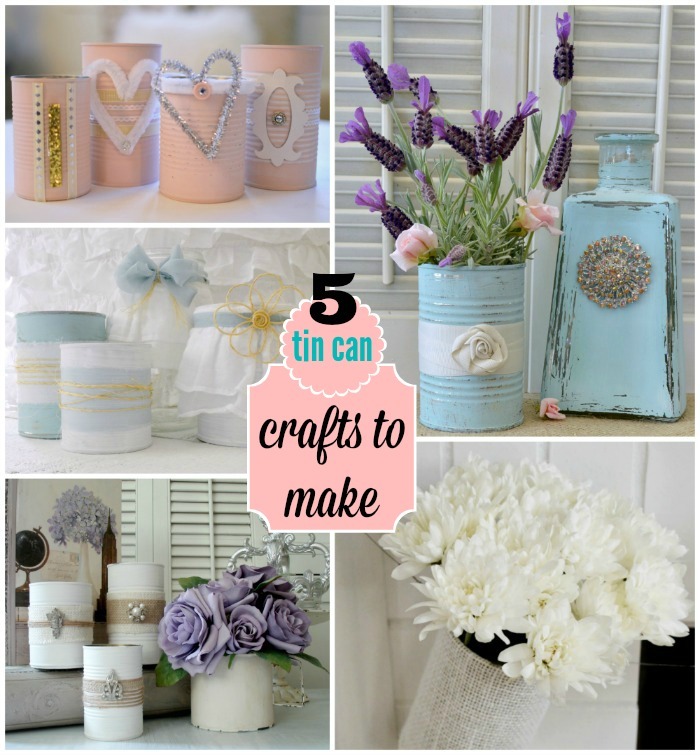 Hey, if you try your hand at tin can crafting, I’d love to see the results!! 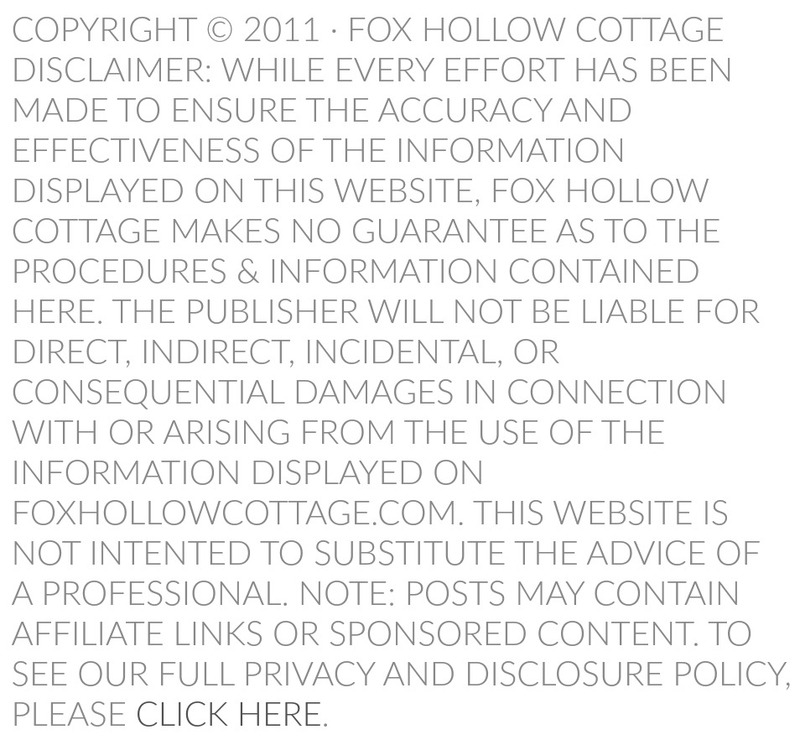 Please consider sharing on the FHC Facebook page. You know I love me a good can! 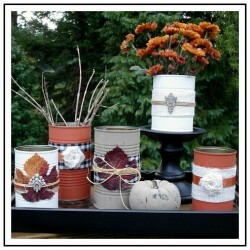 I love the tin can garland. Perfect to change out. 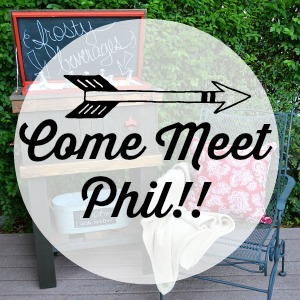 would be great outside on my patio when hosting a party. hope you are having a great weekend. 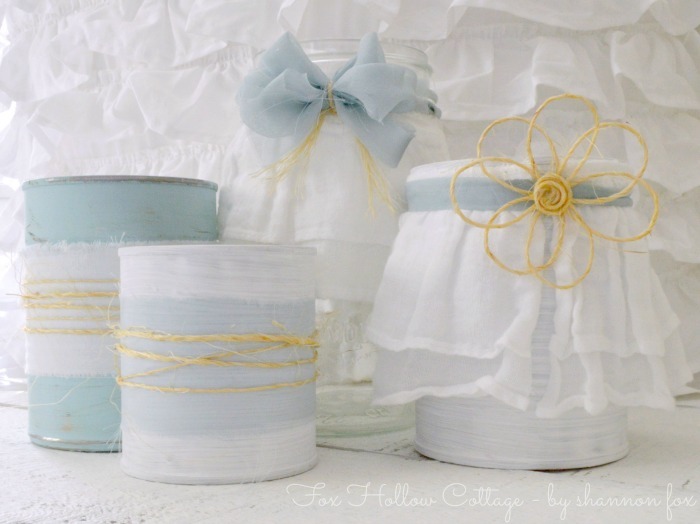 Top Five Tin Can Crafts To Make - Recycle, Upcycle and Repurpose those Old Cans and Bottles into Cheap & Easy Home Decor Accents and More with Fox Hollow Cottage!